Skin care can be confusing and overwhelming….Let’s make this simple! 4 easy things that are 95% of the anti-aging battle. You want a broad-spectrum SPF – both UVA and UVB 30 spf (any less than 30 is not enough protection/any higher the benefits may not be worth the added chemicals). Most people don’t know that the sun protection is only 2-3 hrs, so reapply! Vitamin C and Retinol have been THE MOST studied and there’s no disputing their prevention in anti-aging! You want a 20% or more Vitamin C Serum. Can be used morning and evening. Vitamin C, Vitamin E, & Ferulic Acid is a revolutionary antioxidant combination that delivers advanced environmental protection against photo-aging. Fades sun spots and discoloration. 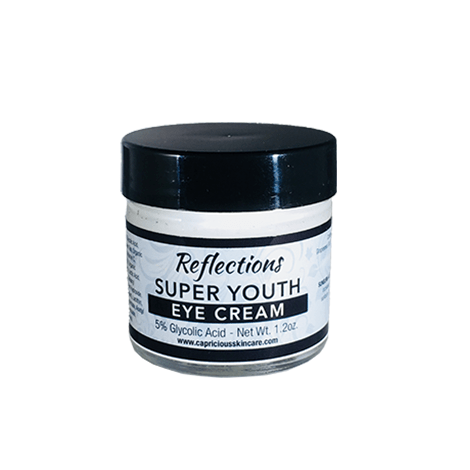 Increases firmness and replenishes lipids to visibly reduce wrinkles. Promotes collagen & elastin by increasing cell turn over. 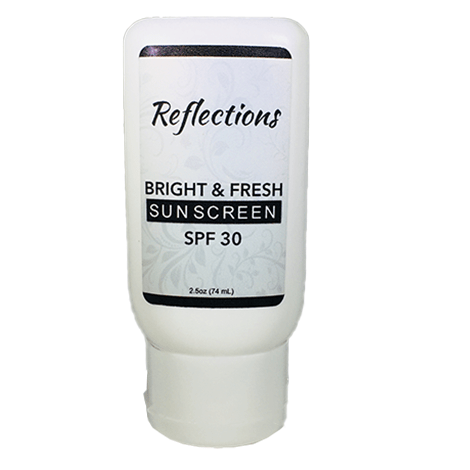 Refines skin texture & evens out uneven pigmentation and reduces fine lines & wrinkles. Aids in the treatment of acne. From a simple fruit enzyme to chemicals peel, cell turn over is key. When you remove a dead or damaged skin cell, your body will generate a new, fresh, young skin cell. Twice a week: Exfoliate using a gentle Scrub followed by a Mask best suited for your skin type. Toners: Return skin to proper PH protecting your skin from bacteria, removes chlorine, calcium and mineral deposits that are in our water. Shampoo hair FIRST then wash face, products good for your hair are NOT good for your face. Toners can also be hydrating, antibacterial or soothing. This is a MUST do for people with congestion and acne. 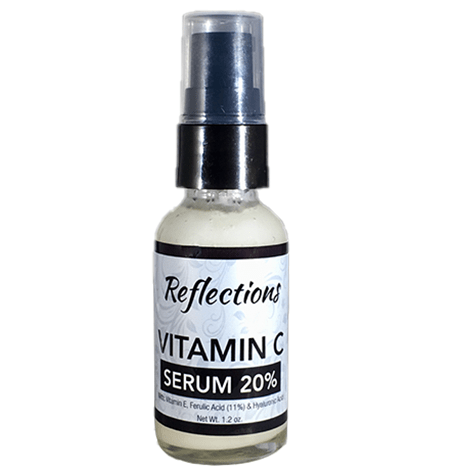 Vitamin C: Promotes production of collagen & elastin (firming), Refines skin’s texture and skin tone (discoloration, sun spots), Moisturizes, Neutralizes free radicals, Anti-inflammatory. Retinol / Retin-A: Both come from Vitamin A, basically Retin-A is a stronger prescription strength. Vitamin A works at a deeper layer within the skin to promote collagen & elastin by increasing cell turn over. 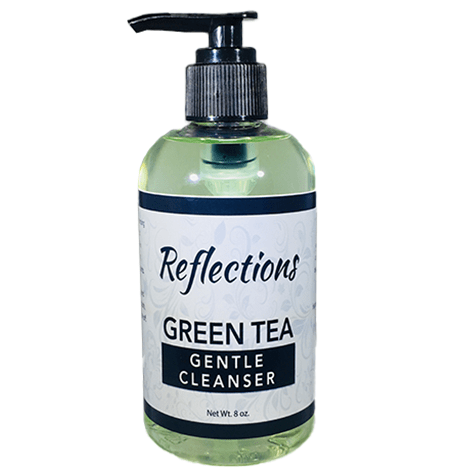 Refines skin texture & evens out uneven pigmentation and reduces fine lines & wrinkles. Hyaluronic Acid: Holds up to 1000x its weight in water, draws moisture from the air and pulls to your skin. Hydrating. Salicylic Acid: Anti-inflammatory, antiseptic, astringent. Used in the treatment of acne. Glycolic Acid (AHA): Anti-aging, antioxidant; fruit based. Skin cell renewal and cell shedding. Glycolic Acid works by dissolving the intercellular cement responsible for abnormal keratinization (discoloration of the skin), improving skin hydration by enhanced moisture uptake, binding water to the skin. Hydroquinone: Lightens freckles, age spots, and other skin discolorations associated with sun damage, pregnancy, skin trauma, birth control pills, or hormone replacement therapy. Niacinamide: Cell protectant – reduces inflammation (good for acne & rosacea), improves skin elasticity & barrier function. CoQ10: Powerful antioxidant, anti-inflammatory, stimulates collagen production.